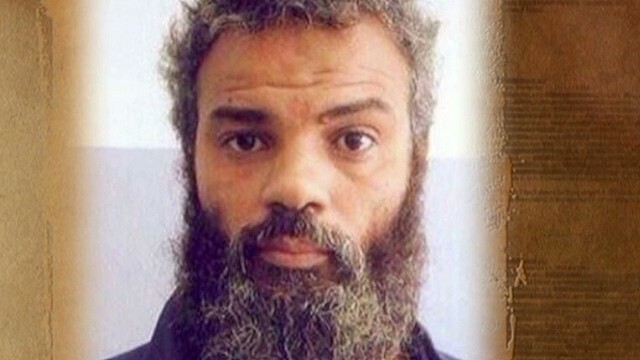 The Benghazi attack suspect is on a slow boat to the U.S. Militants inch closer to the Iraqi capital. And Amazon enters the smartphone fray. Captured: Terror suspect Ahmed Abu Khatallah is on a slow boat to the United States. That way he gets plenty of quality time with the FBI-led High Value Detainee Interrogation Group. They'll have a few questions for the man accused of being one of the alleged masterminds behind the deadly September 11, 2012, attack on the U.S. consulate in Benghazi, Libya, that killed four Americans including Ambassador Christopher Stevens. Under pressure: These are critical times for Iraqi Prime Minister Nuri Al Maliki. Islamic militants are on the march and they're threatening to take Baquba, a city just 40 miles north of the capital. If government forces can't hold the city, the consequences could be dire for Baghdad. Town hall meeting: Hillary Clinton rolled along on her book tour last night, stopping for an hour to answer questions from CNN's Christiane Amanpour and a studio audience. Sounding a lot like a politician, the former first lady and secretary of state said she was not going to be rushed into deciding on whether to run for president. Clinton also talked about things like gun control, Benghazi, immigration and marijuana. Three in 24 hours: A Georgia man became the first inmate in the United States to be put to death since the botched execution of an Oklahoma man in April. Marcus A. Wellons was executed by lethal injection just before midnight. Wellons' execution was one of three scheduled in less than 24 hours. John Winfield was put to death about an hour later in Missouri. John Ruthell Henry is scheduled to be executed later today in Florida. Bezos debut: Are you breathless yet? Amazon wants you to be after releasing a video, pimping a new product that's slated to be unveiled today near its Seattle headquarters. Amazon CEO Jeff Bezos will handle the honors. According to industry analysts and leaks in the tech press, Amazon has been developing a smartphone with a screen that displays 3-D images without the need to wear special glasses. –Soccer #fails: With all the sweet skills shown by the pros in the World Cup, sometimes it's hard to remember that not everyone does it so well. - Frostie the Snow Goat update: Our little disabled goat buddy has graduated from his mobility cart and now runs on his own four feet. - OK Go: The boys in the band have another visually stunning music video for us to waste our time with. - Bearly delayed: A black bear in Juneau, Alaska, caused a stir when he showed up just beyond the outfield fence at a baseball game. - Birds of a feather: It's a duck stampede. Don't ask us why. Man... that's a LOT of ducks! Agree with Margaret, I love the update on Frostie! So happy to see him boucing around on his own, what a great way to start the day! You go Frostie The Snow Goat!!!!!!!! What a beautiful and happy story!!!!!!!! This is how I like to start my New Day with a smile and a tear!!!!!!! !